Price: We guarantee the price you pay is the lowest available published rate. Security: All reservations are processed through secure servers with the latest encryption technology. Your credit card is safe with us. Contact: Call toll-free 1-800-509-9025 for questions, reservation changes or cancellations. We are an independent affiliate of Alliance Reservations Network. Alliance Reservations Network provides motel and hotel inventory to us, with the lowest rates guaranteed. We use the ARN database of over 88,000 motel and hotel properties. All photographs are either originals, public domain or used with permission and purchased from a stock photo company. All content is original and copyrighted. All hotel information is used by permission through our affiliation with Alliance Reservations Network. 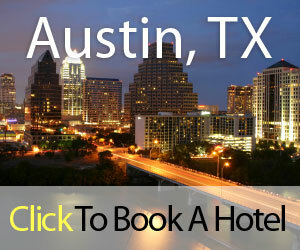 Thank you for using our Austin TX Hotels website. We hope you find this site easy to use and that you find just the right accommodations for your trip.